If you could have a drink with anyone in the theater world, who would it be? 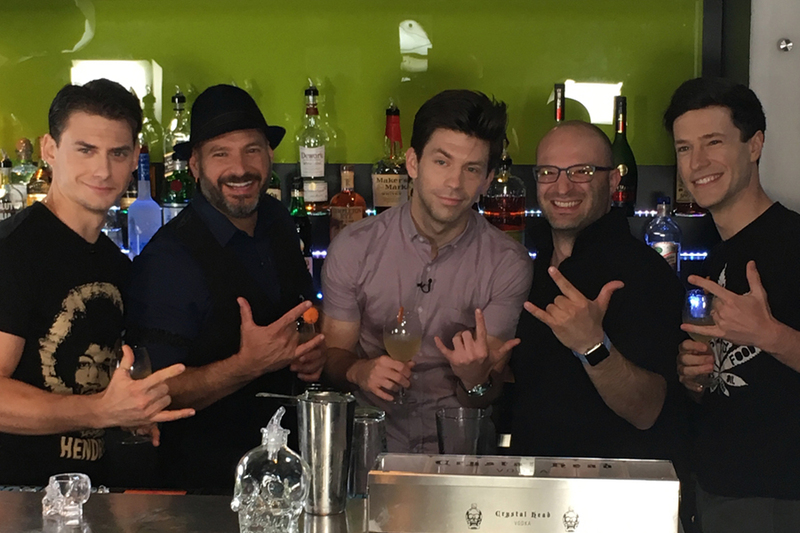 In this episode of Broadway Bartender, host Anthony Caporale welcomes the cast of A BRONX TALE to the bar! CARY TEDDER (Ensemble) Cary is a proud graduate of Pebblebrook High School and The University of Michigan. Broadway: THE TIMES THEY ARE A-CHANGIN’, MEMPHIS, BIG FISH, HONEYMOON IN VEGAS, DAMES AT SEA. National Tour: WEST SIDE STORY. Regional: St. Louis MUNY, Pittsburgh CLO, Music Theatre Wichita, North Shore Theatre, The Alliance, GEVA, Arrow Rock Lyceum. Keith White (Sally Slick) Broadway debut! Raised in Georgia and California, Keith moved to New York after training in Boston. Other credits include JERSEY BOYS 2nd National (Knuckles) and A BRONX TALE at Paper Mill Playhouse (Slick). Thanks to my incredible family and friends, BRS, Emily Gates and Lisa Sheldon. Art brings people together!